Barriers in our society keep certain communities marginalized; including people of color, immigrant and refugee, low-income, women, gender nonconforming, transgender people, and people with disabilities. This exhibition shares the life and work of five social justice activists and advocates in the Pacific Northwest. Whether it is within health care, racial justice, transportation, workplace equity, reproductive rights, food security, or arts and culture, these activists and advocates work at different entry points. Each entry point demonstrates ways to become involved within one’s own community. Through personal stories and related objects, Igniting Voices aims to dismantle barriers and inform, encourage, and inspire people to share their own voices to create community inclusion. This story is 2 minutes 50 seconds. This story is 2 minutes 51 seconds. This story is 2 minutes 39 seconds. This story is 2 minutes 38 seconds. Here’s a list of organizations that are supporting various communities across the state that are always in need of volunteers and/or resources. All organizations are always in need of financial support as well, therefore donations are strongly encouraged! This list is active, so if you’d like your organization listed, please contact writtenbyluann@gmail.com to be added. *Please note, this list was curated by artist-activist and Object Stories participant Luann Algoso. The Asian Pacific American Network of Oregon is a statewide, grassroots organization, uniting Asians and Pacific Islanders to achieve social justice. They work in the areas of education, health, and the environment, advocating for policies that directly affect Asians and Pacific Islanders in the state. They’re in need of volunteers for civic engagement efforts to canvass, work on voter education, and support APANO’s campaigns in education, environmental justice, and health equity. Email getinvolved@apano.org for more information on how to get involved. Black Lives Matter Portland is a chapter within the #BlackLivesMatter movement and the Black Lives Matter Global Network, which is a chapter-based, member-led organization whose mission is to build local power and to intervene in violence inflicted on Black communities by the state and vigilantes. Causa is Oregon’s Latino immigrant rights organization. Causa is one of the lead organizations in One Oregon, a coalition committed to long-term change and seeks to address root causes of anti-immigrant and anti-refugee sentiments in order to prevent harmful policies from flourishing in our state. Gabriela Portland is a collective of Pinays celebrating multifaceted identities, revolutionary herstory, and rich culture. They work to build a community in the greater Portland area invested in educating, serving and advocating for the human rights of Filipin@s locally and globally. Fill out their contact form on their website to learn more about how to get involved. The time commitment for volunteering is flexible, with options to drop-in or provide weekly, ongoing support. Mentors typically offer 4-12 hours of support total. To become a mentor, you can apply at literary-arts.org and contact Mel Wells with questions at mel@literary-arts.org. 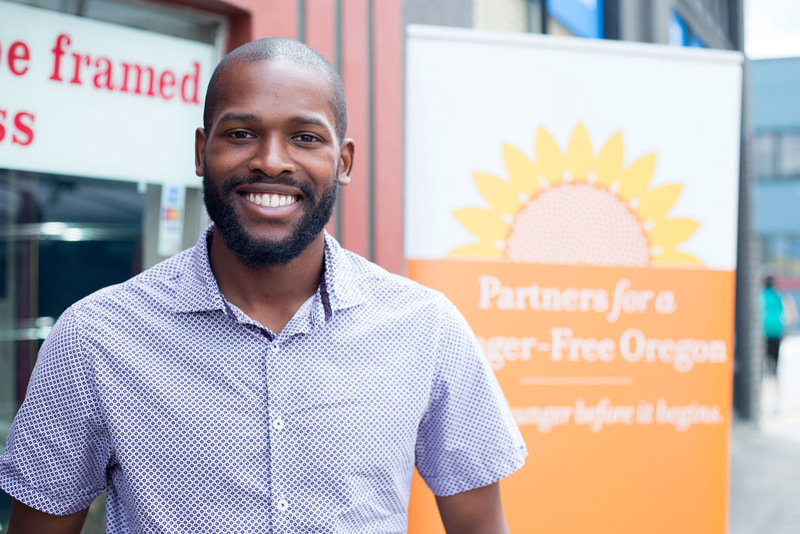 Partners for a Hunger-Free Oregon (PHFO) works to make sure kids have food to eat—whether they are in school, at home during the summer, live in rural Oregon, or right here in Portland. Leadership and Advocacy Teams form the backbone of the grassroots organizing at PPAO. These dedicated community leaders knock doors, call voters, engage in visibility events, organize fundraisers, lead lobby visits with legislators, write letters to the editor and much more. Portland’s Resistance organizes direct action and policy demands to bring about the just and equitable future that we all deserve. Check out ways to get involved on their Facebook page. Pueblo Unido PDX, a grassroots group advocating for Latinxs with vulnerable immigration status, is looking for volunteers who are experienced in immigration law, event management, and policy research amongst other areas of expertise. The group aims to meet every Sunday in the Rockwood Public Library from 1-2 pm with upcoming meetings scheduled for October 29, November 5, and 12, so feel free to drop in! Have additional questions? Send an email to pueblounidopdx@gmail.com. NARAL Pro-Choice Oregon works to proactively ensure that all women have the resources to make healthy decisions about their bodies, sexuality, and reproduction for themselves, their families, and their communities in all areas of their lives. Native American community center in Portland with programming that supports Native American youth, elders, and the community as a whole. Email volunteer@nayapdx.org to request more information about opportunities and availability. All volunteers will be required to complete a volunteer application and submit to a criminal background check. The Immigrant and Refugee Community Organization (IRCO) serves the holistic needs of immigrants, refugees, and mainstream community members in Oregon and SW Washington. As a community-based organization, they empower children, youth, families and elders from around the world to build new lives and become self-sufficient by providing more than 150 culturally and linguistically specific social services. Check out their list of volunteer positions on their website – they’re always in need of volunteers! Volunteers play a treasured role for the Rural Organizing Project. At ROP, they accomplish far more than what 4 staff people could possibly do on their own, and they make it happen because of literally thousands of volunteers who serve on their board, who lead local groups, and for those in Columbia Count who take weekly shifts in their office, maintaining their critical systems! Interested in joining their incredible team of volunteers? Call ROP’s office at 503-543-8417 or email Jessica@rop.org today! Unite Oregon is a community-based organization led by people of color, immigrants and refugees, rural communities, and people experiencing poverty. They work across Oregon to build a unified intercultural movement for justice. They are in need of volunteers to help in their office to getting involved in advocating for the policy campaigns they work on.